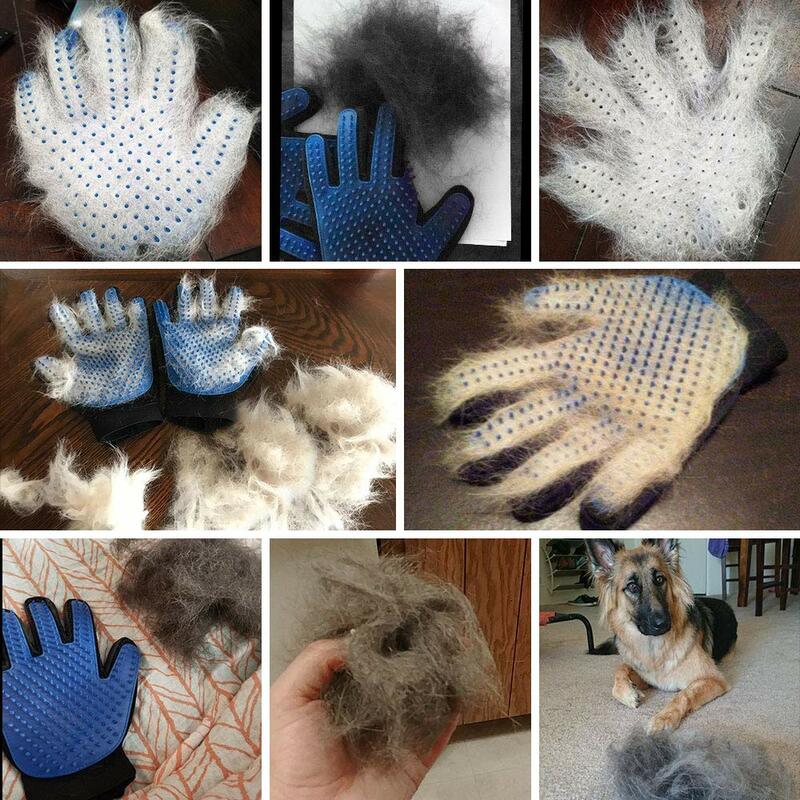 Grab your Discounted Pet Massage Grooming Deshedding Glove while the store LAUNCH DISCOUNT is on. Once we reach 300-unit sales, we will be increasing the price back up to $ 32.95 USD. This is absolutely a great gift! What If You Can GROOM And MASSAGE Your Fur Friend At The Same Time! Do you love your pets, but just not their hair? We love our best friends at home and want to hug them as much as we possibly can, but we always find ourselves covered in hair afterward or on furniture... Well! We have just the right thing for you! 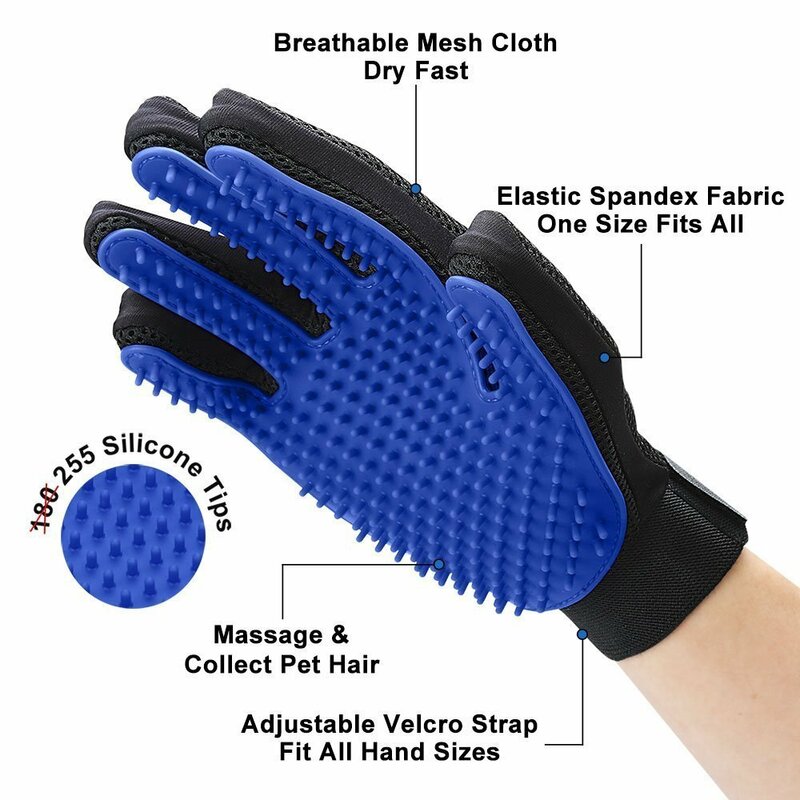 Our high-quality Pet Massage Grooming Deshedding Glove was designed to be extremely gentle with your pet bringing only satisfaction and pleasure. Grooming has never felt so good! You will achieve great grooming results while just petting and stroking your pet. No more stressful chasing trying to comb out your pet. FIVE-FINGER DESIGN – Glove gently imitates the true touch of your hand. Let your fur-baby think he is getting petted instead of grooming. Delivery month to moscow. Quality corresponds to the price. In principle, it will. The cat is delighted! Purring the entire combing procedure. It was exactly 1 month. To the quality there are claims-sewn very crooked and in one place the elastic band is torn. The cat took normal, combed with pleasure. Wool and undercoat is going well, but slits from the gum clings to the fabric. Hurray! Came very quickly! A beautiful thing, and most importantly necessary. I don't understand how we did without this glove. Seals immediately liked. Wool combes, although it seemed that they do not shed. Easy to clean. I recommend both seller and product. Quality to the touch, will last a long time. The glove copes with its task, the cat baldets. Funny. In the photo already a couple of nervous cells of my cat. :: D the wool is not cleaned as advertised in gifts, vidos. Maybe the hair is little heated for easy removal, cleaning. But if i wanted to continue draining it, some hair stuck to it, that is, consistently to everything later. And so i like it. As a soft and unpretentious cleaning, not harmful to the animal, quite satisfied. Good thing. Delivery is long, october 16 order is december 03 received. I liked the glove, strong and good, but i did not like the cat-i'm afraid. Delivery to bryansk 3 weeks. Tracked to the post office, but partially. I took 2 gloves-right and left. The size is good, suitable for both female and male hands. Wool combes well, even with a short-haired cat. If the wool was removed a lot, then it is removed easily, as in advertising.) But if not enough, it is difficult to remove. But it's all those gloves. Before that i took one from another seller, so there was a small size. But in the back of the gloves there is a difference-here is just a mesh, and there is another fabric under the mesh. But comb the same. The cat was afraid at first. But i started putting a glove on her wherever she fell asleep. And fear passed. Now it is already ironed normally.))) Product and seller recommend! Gloves are satisfied quite. Thick enough and rubber and the material of the glove itself. At first it seemed that creepy china, but no. Done not bad. On the hand sits tight, does not hang out. The dog (beagle) and the cat (kurilian bobtail) combs perfectly! From 5 movements on the dog such a result. Fast delivery, the dog liked, the wool is collected, but there is a static effect. Excellent gloves, came to volgograd quickly, the wool is cleaned with a bang! 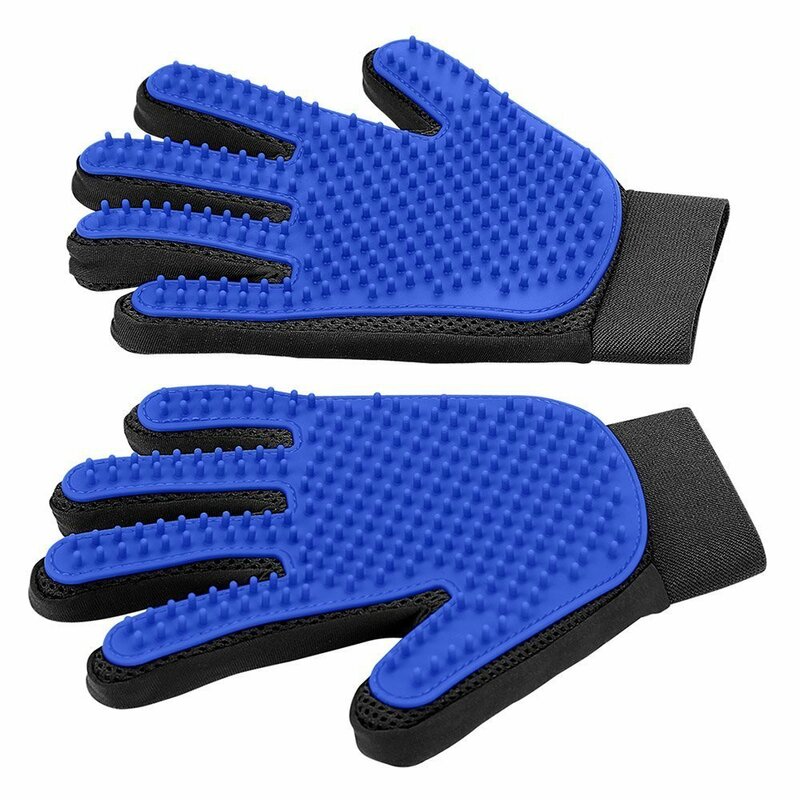 Seller recommend, and gloves! Everything is super. It works! Each time I brush my cats fur, there will be a bunch sticker to the pad. I love it! My baby Husky is not shedding too much yet just a little bit but I can see this brush do its job. I like it so far so lets see when he starts really shedding and his hair gets a little bit more thick I hope I can keep using this same brush.... shipping to USA was super fast, thank you seller!